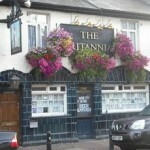 Britannia in Gillingham shows football on TV. The pub has terrestrial TV. Franklin Rooms in Gillingham has a beer garden. The pub has a function room that can be booked, it has an outside area. Franklin Rooms shows live comedy. The pub has a dart board, it has DJ's. Franklin Rooms has karaoke. The pub has live music events. Gillingham Conservative Club in Gillingham shows live comedy. The pub has a dart board, it has DJ's. Gillingham Conservative Club has karaoke. The pub has live music events, it holds Poker Nights. Gillingham Conservative Club has a pool table. The pub holds quiz nights, it has a big screen. Gillingham Conservative Club shows football on TV. The pub has Sky Sports, it has terrestrial TV. Fleur-De-Lis in Gillingham has an outside area. The pub has a smoking area, it has free WiFi. Fleur-De-Lis has a dart board. The pub has a pool table, it shows football on TV. Fleur-De-Lis has terrestrial TV. Scruffy Duck in Gillingham has karaoke. Livingstone Arms in Gillingham has a smoking area. The pub has a dart board, it has a pool table. Livingstone Arms shows football on TV. The pub has terrestrial TV. 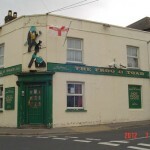 Frog & Toad in Gillingham has a beer garden. The pub is a family friendly pub, it serves food. Frog & Toad has an outside area. The pub serves real ale, it holds quiz nights. Frog & Toad is a member of Cask Marque. 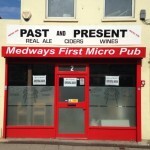 Canterbury Tales in Gillingham has an outside area. The pub has free WiFi, it has a dart board. Canterbury Tales has a pool table. The pub shows football on TV, it has terrestrial TV. Engineers Mate in Gillingham shows football on TV. The pub has Sky Sports, it has terrestrial TV. St Marys Social Club in Gillingham has a beer garden. The pub has an outside area, it has a dart board. St Marys Social Club has DJ's. The pub has karaoke, it has live music events. St Marys Social Club holds Poker Nights. The pub has a pool table, it holds quiz nights. St Marys Social Club shows football on TV. The pub has terrestrial TV. Marquis Of Lorne in Gillingham has an outside area. The pub has a smoking area.